We have been contacted by a Mr Danny Wells, who offers a variety of historical talks and tours. If that kind of thing grabs (and why wouldn’t it?) do have a look at the attached document. 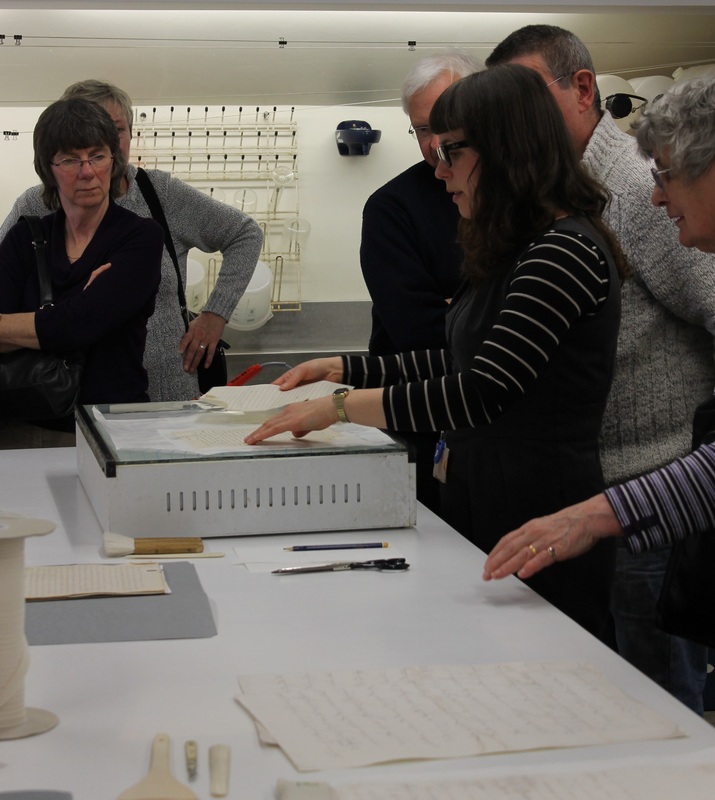 Participants were shown a presentation explaining how we look after and repair our documents, with advice on how to translate that into looking after precious mementos at home. 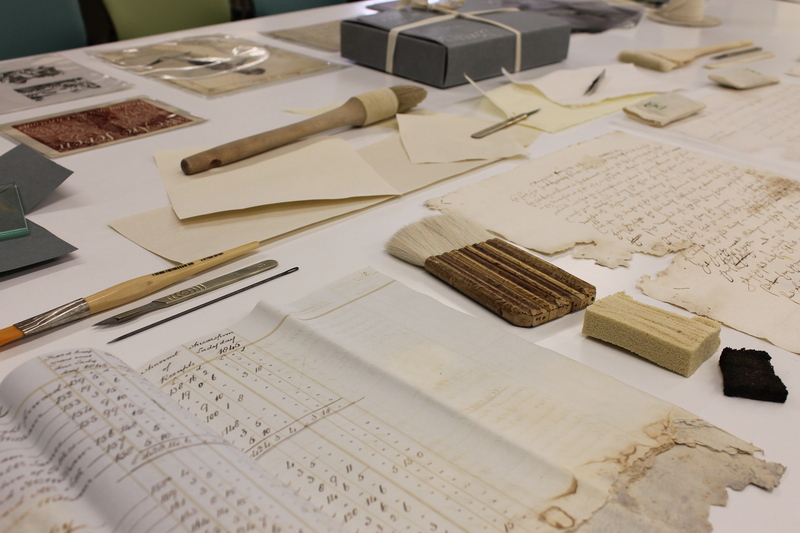 We then walked to the other side of the building and climbed two flights of stairs to visit the Conservation Studio, where Assistant Conservator Clare demonstrated a dry paper repair technique. There was also a display of damaged and repaired documents, conservation and packaging materials and specialist suppliers catalogues to look at. 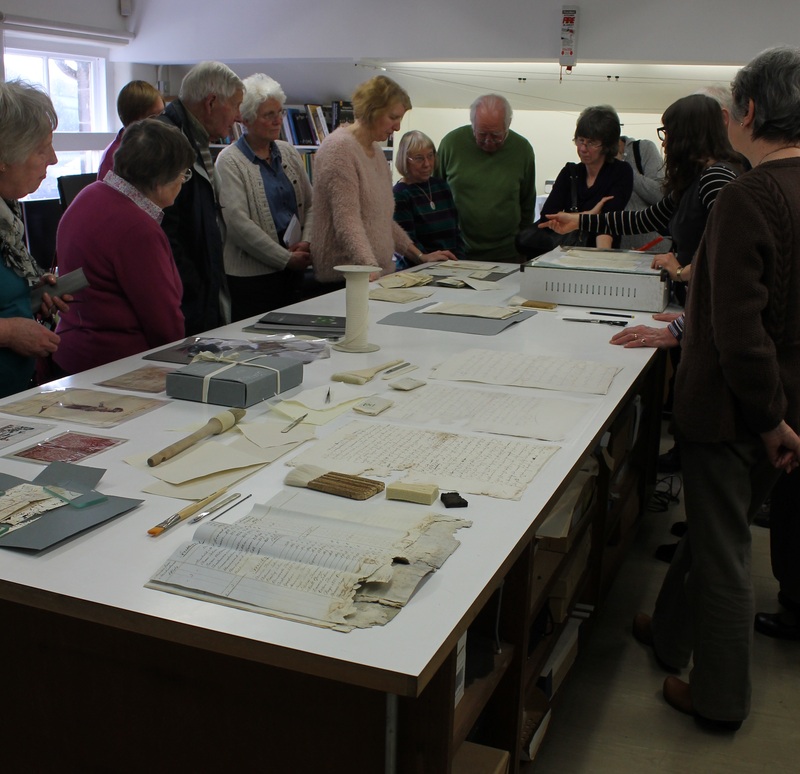 Once all the enthusiastic questions had been answered we went back to the meeting room, where Clare and I looked at documents, photographs and books people had brought with them and gave advice on storing them safely. We will be repeating this event on Thursday 18 September – book early to avoid disappointment!